The air pollution during the winter months in Salt Lake City, Utah is despicable. 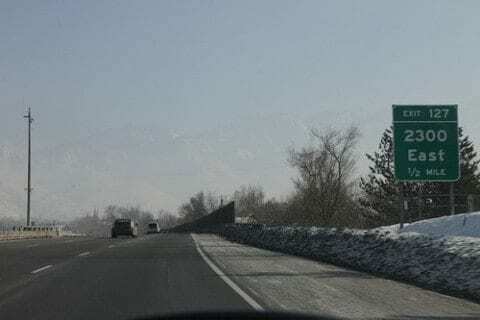 The mountains that surround Salt Lake cause the regular atmosphere to be inverted, meaning warm air traps the cold air underneath it; this is called an inversion. While this alone doesn’t pose any environmental threats, it is when we begin to pollute the air that we see the negative effects. Not only does the warm air on top trap the cold air, but also all the pollutants that are put into the air. After a long enough time, after days and days of build up, the air gets worse and worse. The only thing that is able to keep the inversion out of the Salt Lake Valley is when a storm comes through with enough wind to blow it out. As is the case for most other environmental problems, the fault is usually our own. The inversion wouldn’t be a problem for us if we weren’t spewing toxins into the air. The largest contributors to the air conditions are cars as they have become less and less of an efficient way to travel. The largest problem the air pollution poses to us are lung complications, and “children and the elderly are also especially at risk from high levels of airborne particulate”, along people with asthma. The biggest social issue that is faced in this environmental struggle is between those who do and do not want political change. The impact that the change in policy would have would have would be extremely large, as most people drive cars to get around. Still, there are thousands of people in Salt Lake who are advocating for change. Advocates for air quality not only see that it’s necessary for there to tighter laws around the types of cars being driven, but also need to be “measures to put the squeeze on idling and make city streets more bike friendly”. At the end of the day, everyone in Salt Lake who breathes the air is having their health put at risk. It is up to us to bring about the change we want to see in our city. SLC Air Quality: Social Impacts by Anthony is licensed under a Creative Commons Attribution-ShareAlike 4.0 International License.